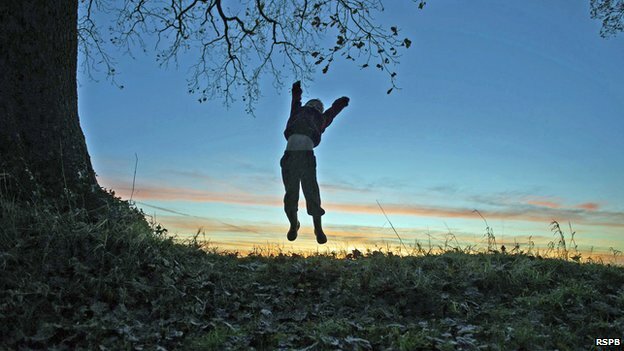 The three-year project found that only 21% of children aged 8-12 were “connected to nature”. In 2012, the National Trust published a report on the phenomenon of “nature deficit disorder”, though it is not recognised as a medical condition. The RSPB says its new study is the first to quantify the scale of British children’s exposure, or lack of it, to the natural world. They came up with a definition of what “connected to nature” actually means and then developed a questionnaire with 16 statements designed to assess the level of connection among children. This “realistic and achievable” value is based on the average scores of children visiting RSPB sites or who are junior members of the organisation. One interesting finding was the gender difference. While 27% of girls were at or above the “realistic and achievable” target, only 16% of boys were at the same level. “We need to understand these differences,” Sue Armstrong-Brown, head of conservation at the charity, told BBC News. The RSPB hopes that its study will be taken up by government as one of the indicators on the state of children’s wellbeing. “If we can grow a generation of children that have a connection to nature and do feel a sense of oneness with it, we then have the force for the future that can save nature and stop us living in a world where nature is declining,” she said.